I expect most of you have already heard the sad news through other channels: Gary Smith died last Friday, July 3rd, from pneumonia in Flagstaff, Arizona. I must have first met Gary back in Dataquest days when I was at VLSI Technology. Gartner then acquired Dataquest and eventually shut down the EDA practice and laid Gary off. He then started his own company, GarySmithEDA. It only took him a couple of quarters and he told me that he was already bringing in more than they had been at Gartner. 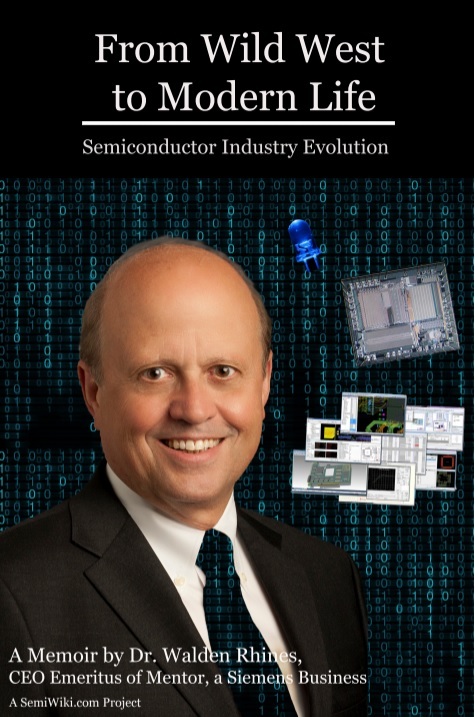 Gary was a sort of gate-keeper to the EDA industry and its customers. Nothing happened in EDA without Gary knowing about it. He always wanted to meet a company, no matter how small, although in April and May coming up to DAC his calendar would get insanely full. In fact for a small EDA company there was a ritual of going to see Gary in spring to make sure that he understood the product. If the planets aligned then you would get on his list of the top 25 companies to see at DAC which would often make a big difference to a startup with a very limited marketing budget, struggling for potential customers to even know they existed. Gary was scrupulously fair about these lists. It didn't matter if you were a consulting client, or a big company, or a tiny one. If you had interesting and appropriate technology then Gary would send people to check you out. Also, the company and its product would appear in the right place on the taxonomies of the industry that Gary and his team produced annually. The overture to DAC for years was Gary's presentation summarizing the state of the EDA industry on Sunday evening. Then a repeat performance to open the show the following morning. If Gary wasn't wearing his trademark white suit then he would be in his backup trademark orange jacket. Gary was always optimistic about the EDA industry and accurate about where it was going. But sometimes he was too optimistic, predicting the takeoff of some technology such as system design a long time before it actually happened. Lori Kate Smith, his widow, has asked John Cooley to put together a memories page this week before the funeral so that their 9-year old son can see how Gary was seen by the industry that he worked in. So if you have memories or photos of Gary then email them to John. A memorial service is in planning for the late morning of Sunday, July 12th in San Jose. In order to allow them to reserve the appropriate facility, would you kindly indicate below the number of people in your party who may attend? Children are welcome. To do this, go here. Full instructions for exactly what to mail and what subject lines to use for memories and photos are on John's website here. UPDATE: memorial service is 11am the the San Jose Doubletree. Wear orange like me. More details in the comments.